you want me to to do it your way? * Not all the artworks listed here are participatory in the sense that the artwork is created through the participation of an 'audience' where there is little or no distinction between originating artist and other participants. 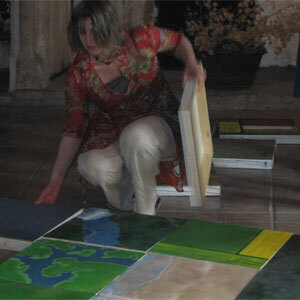 Some artworks listed here are participatory in that sense. 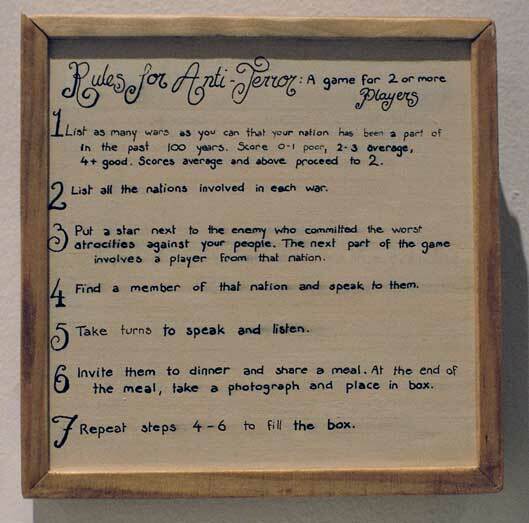 Others are listed here because participation of others, including 'non-artists', was essential to the creation of the artworks, even though the final artwork may be fairly indistinguishable from those made more traditionally. 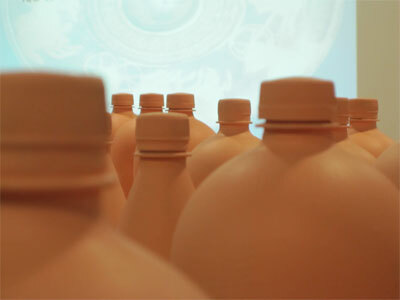 ‘knowing’ was a project with Volkenkunde, Leiden. In 2014 I invited a range of people from various backgrounds to talk about objects in the collection of Volkenkunde, Leiden, Netherlands, one of the partners in ‘Pacific Presences’, a research project led by anthropologist, Nicholas Thomas. My aim was to explore the politics of occupation and colonialism through the historical objects from Papua in the Volkenkunde collection. The region now called Papua or West Papua has also been called Irian Jaya and Nederlands-Nieuw-Guinea reflecting the colonial past and present of the region. By inviting people from Papua, from Java and of Dutch origin to talk about the objects in the collection, including objects from their own cultures, the project collected stories about objects, some familiar, some chosen by other people, and always including some chosen by the participants themselves. Stories and knowledge were recorded on an audio recorder. 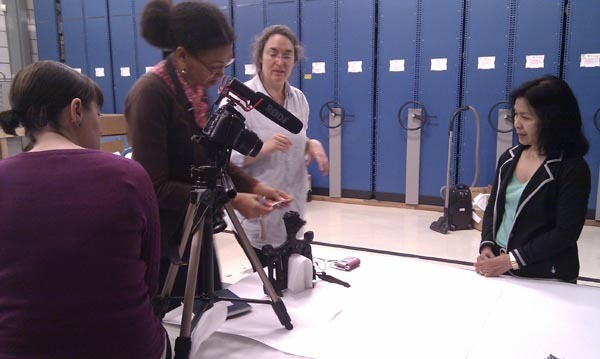 The interaction with the objects was also filmed with only the hands and the objects in the frame. The reason for filiming hands and objects only is because most people become self-conscious when their face is filmed and so, because I wanted to keep people feeling safe and open, filming was of hands and objects only. The other main reason for the choice centres on the final film. I believe we make assumptions about a person, and therefore what they’re saying, based on their face. In order to increase parity of reception about the different stories, knowledge, across my ‘informants’, the participants, no faces are shown. The film was edited by Marianne Holm Hansen and Alana Jelinek. Twenty two hours of footage was edited down to 48minutes. 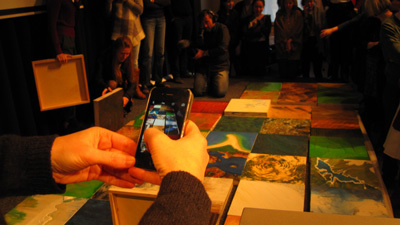 Knowing was launched at the Centre for Material Research, Volkenkunde, Leiden in 2015 and can be seen currently in the Volkenkunde in the Oceania galleries. It was launched on 25 Oct 2015 in the UK at an event called 'Knowing West Papua' at the Museum of Archaeology and Anthropology, University of Cambridge. 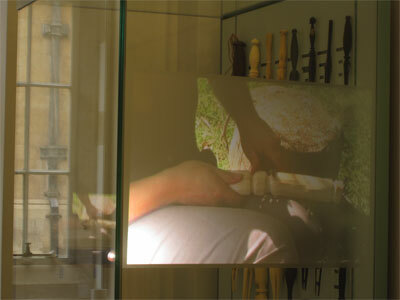 It has been shown at Decad, Berlin, and various other anthropological and art venues. whisper the stories people tell. 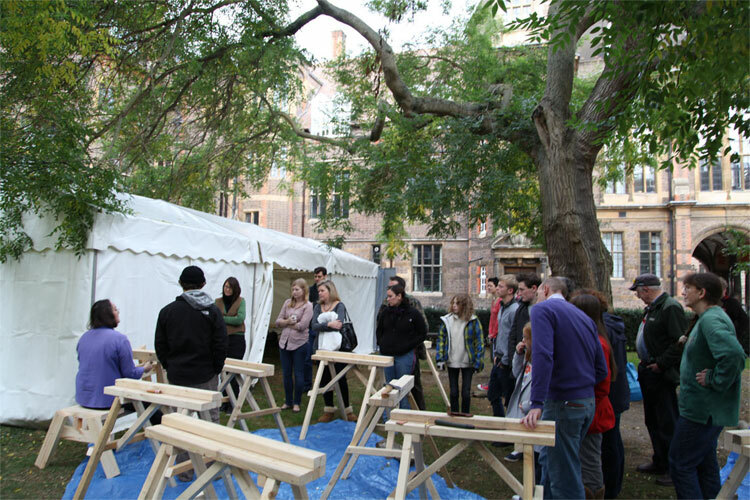 Unlike most symposiums and workshops in both the art world and academia, the format for moot point emphasises the individual topics (moots) covered during the day, instead of the expert or star of the show. It is a participatory, egalitarian format. Each moot is led by a person and then it is opened up to the group. There is a mixture of talking or discussion moots and making or practice moots. It is an all day catered event. 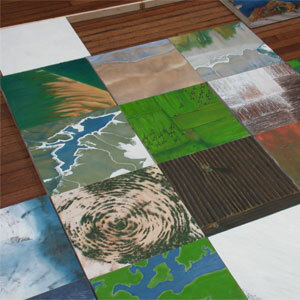 As an artwork, The Field was an art experiment in Levinasian ethics, which is understood as an attempt at ethical engagement with the other as Other. It was also just a field: a physical site with 13 acres of woodland and grassland, 1 mile north of Stansted airport and the activities of and between those who live, eat and visit the area. This includes the non-human. 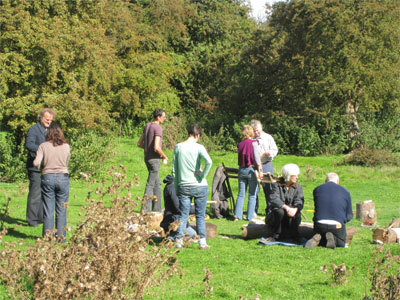 The area included a set of allotments, an orchard, an apiary*, monthly conservation days open to the public, art events like 'moot point', other events. 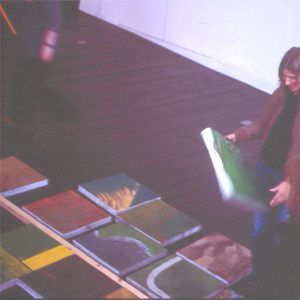 As an artwork, the field existed as a way of seeing, a way of being, informed by a history of art practices within the 'expanded field' (all puns intended). It was an invitation to engage knowingly and self-reflexively with the other as Other. In this sense it was an invitation to an aesthetic experience not circumscribed by notions of beauty or the sublime, or in other ways delimited by notions of the Romantic. At The Field, the Other is understood as both the human-Other and the non-human-Other, which is not what Levinas himself had in mind. Nevertheless, The field as an artwork asked participants to engage with all the various others involved at The Field without resorting to a projection of a culture of the Same (as is the habit of our culture), be it orientalism, primitivism or anthropomorphism. In the context of The Field, keeping bees is understood, not only as an ecologically important act, but as a good starting point for attempting ethical engagements with the non-human Other. It seems less easy to anthropomorphize bees than other animals in close contact with humans but people seem to want to nevertheless. Some even continue to imagine the bees are some kind of an ideal society. We do not. 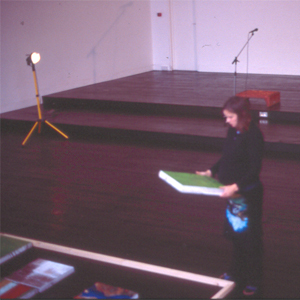 An artwork with a small closed audience and no available recordings or documents other than those recorded by Caroline Gausden for her PhD research into Feminist Manifestos and Socially Engaged Practice. (a cheeky reference to Edouard Glissant). Performed on 12 November 2012 by an invited group of artists, archaeologists, art educators, philosophers in order to interrogate the idea of Greek pottery as art and the idea of Greek artefacts as the pinnacle or origins of artistic practices as we understand them today. 1. Low-value, throw-away vessels painted to appear like clay must then be decorated using the colours used by ancient Greek potters. 3. Painted decorative elements of the vessels must be in the style of ancient Greek red-figure or black-figure ceramics. 4. Representations must be of contemporary life or values. 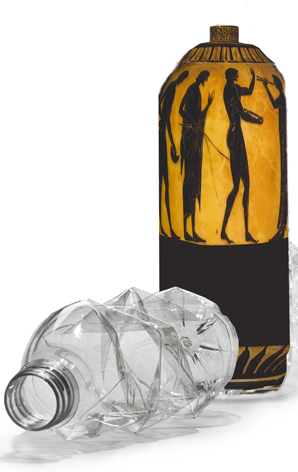 c. ancient Greek red-figure and black-figure pots were skeuomorphs (playful pretend versions) of metallic objects. 3. That ancient Greek ceramics depict three types of contemporary subject: everyday life, the gods, and heroes - not a far cry from what is depicted in the tabloids. 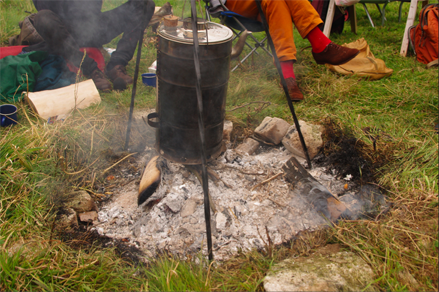 Participants are invited to carve their own cannibal fork using traditional skills and English native woods in a self-conscious act of repetition: repeating the act of creating the myths and objects that embody the myths surrounding so-called cannibal forks. Participants are encouraged to pass on the skills and knowledge required to make further cannibal forks. 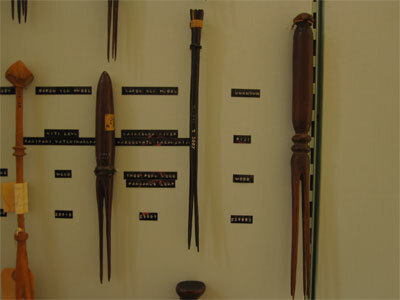 They are also encouraged to contribute to the Museum's collection of 'cannibal forks'. 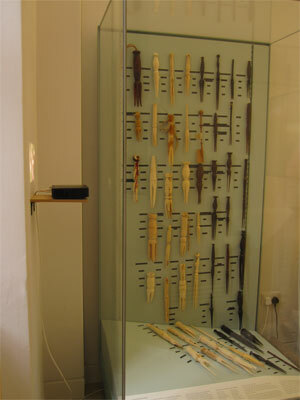 Many participants donated their cannibal forks to the Museum of Archaeology and Anthropology, University of Cambridge. They have been accessioned. 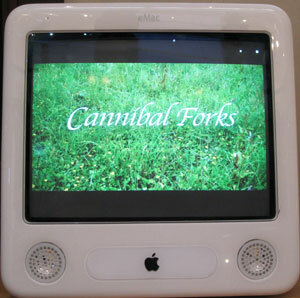 First experiment in distributed protocol, 'Cannibal Forking', occurred on 25 September 2010 at 'The Field'. *NB The making of cannibal forks may or may not predispose a participant towards cannibalism. 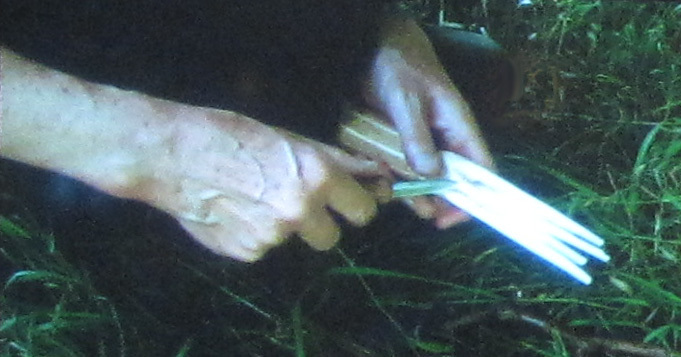 One-day course to learn traditional English green woodworking skills with Alana Jelinek and carve a cannibal fork using native woods. Alana Jelinek initiated a 'distributed protocol' in order to replicate the myths and knowledges that will continue the construction of cannibal forks. 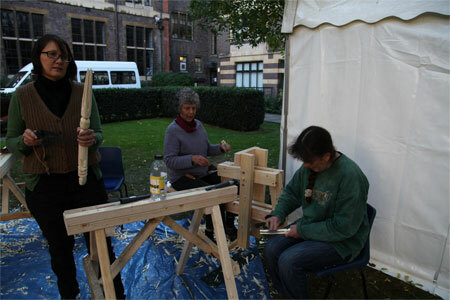 English green woodworking skills form part of this protocol. 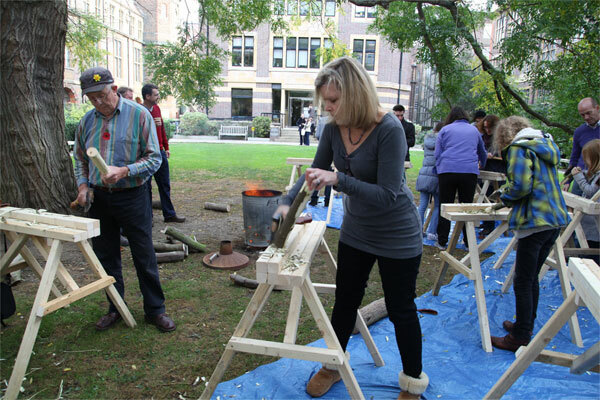 Tall Stories : Cannibal Forks began with a group of colleagues from the Museum of Archaeology & Anthropology coming to The Field to learn how to do green woodwork using traditional European tools and native European woods in order to carve their own cannibal fork. 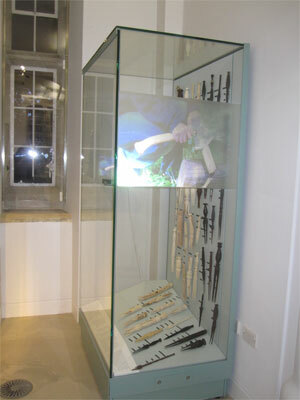 The idea was to create self-consciously our own versions of the 'cannibal forks' in the Museum's collection. 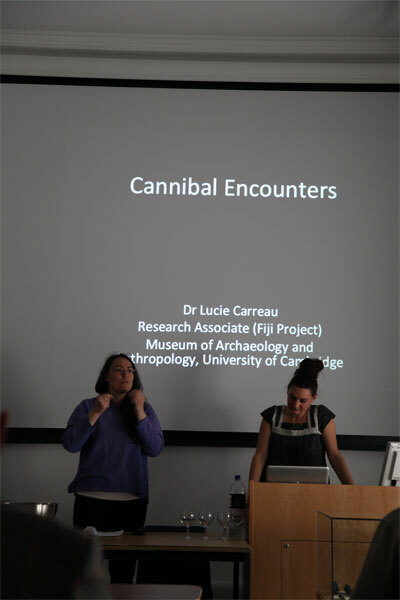 For me, this was the physical embodiment of the process that was happening anyway: it was clear that each person had constructed their own version of the truth of the 'cannibal fork' and that these truths were disparate, detailed and sometimes flamboyant and mutually conflicting. 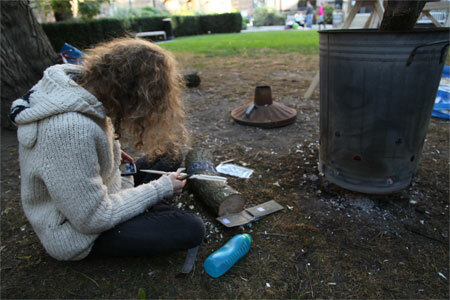 The process of carving the cannibal forks was filmed by Marianne Holm Hansen and later edited with Alana Jelinek into the 8min film that comprises one part of Tall Stories : Cannibal Forks. The other part of the artwork is the newly crafted cannibal forks. The Museum of Archaeology & Anthropology has now accessioned these as part of its collection and all other cannibal forks that were donated, having been made at the various Cannibal Forking events. 54factorial permutations of Europe with 54/36factorial exclusions at any one time. 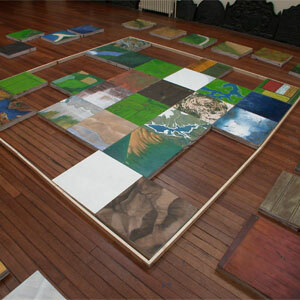 54 birds eye view landscape paintings can fit into a frame that includes a maximum of 36 paintings.